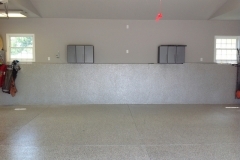 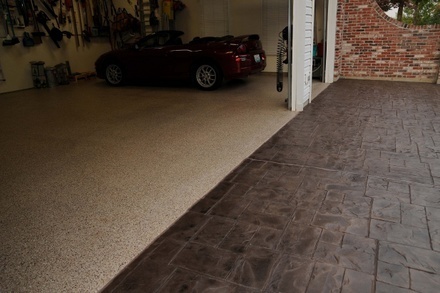 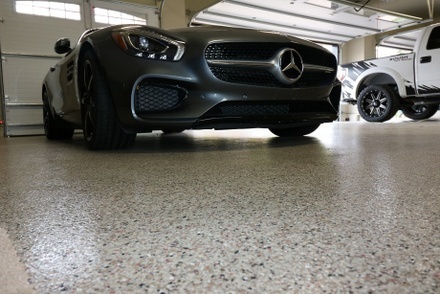 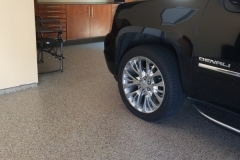 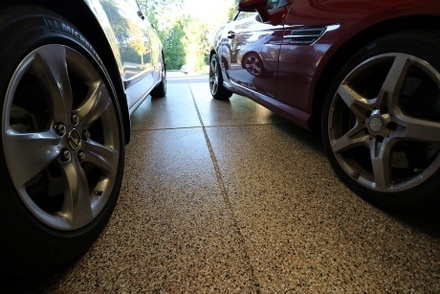 Of all the available Dallas garage flooring options available today, Polyurea Polyaspartic is definitely a first-rate option. This is popular among property owners and contractors as an alternative to epoxy floors. 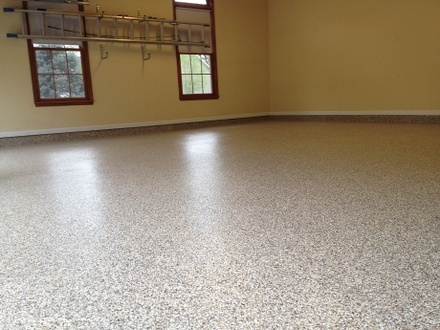 Similar to epoxy, polyurea is a two-part material that cures to a tough surface. 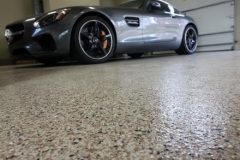 It is a lot more flexible than epoxy, has low to zero VOC, and it has an incredibly faster cure rate compared to epoxy. 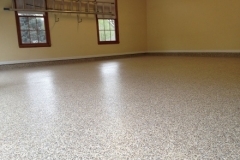 Polyaspartic is mixed with polyurea to slow down its cure rate just enough to make it possible to install properly. 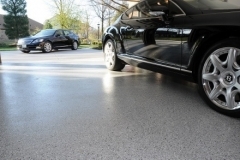 Polyurea Polyaspartic coatings were originally developed for industrial use. However, its great features caught the attention of residential and commercial property owners who are on a quest to acquiring tough, durable, and long-lasting surfaces. 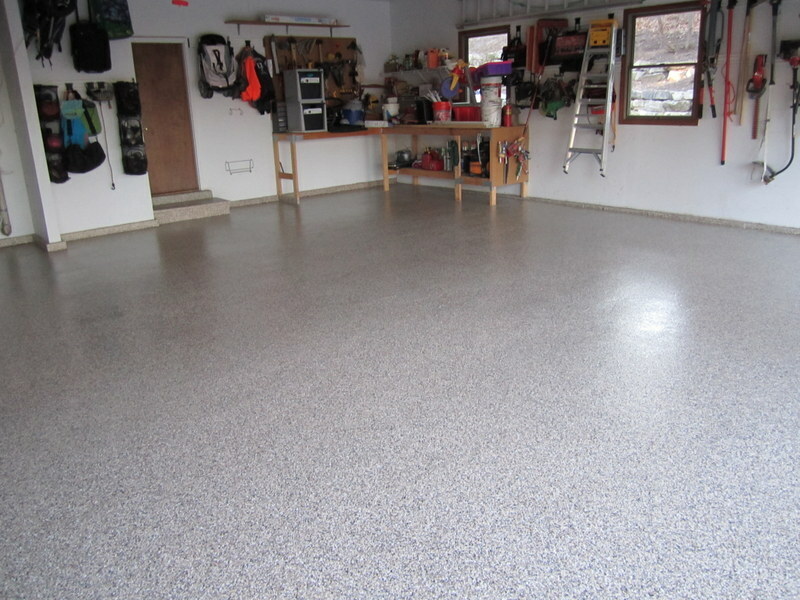 Installation Time – The whole coating system can be installed in one day and be ready for use immediately on the next. 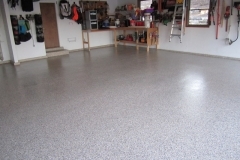 A lot faster than the 3 to 5 day curing period of epoxy. 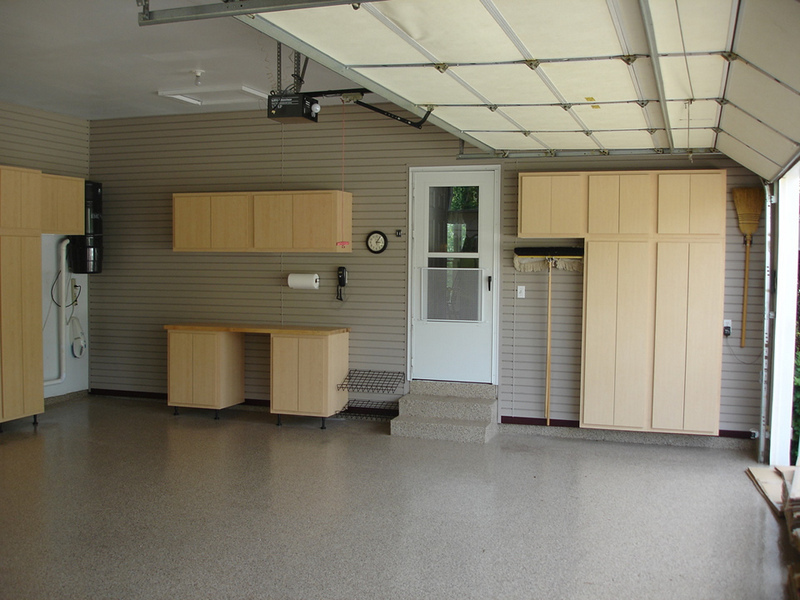 Temperature – Often, contractors would wait for a warm day to do the installation. However, with polyaspartic, the temperature is not a big deal. 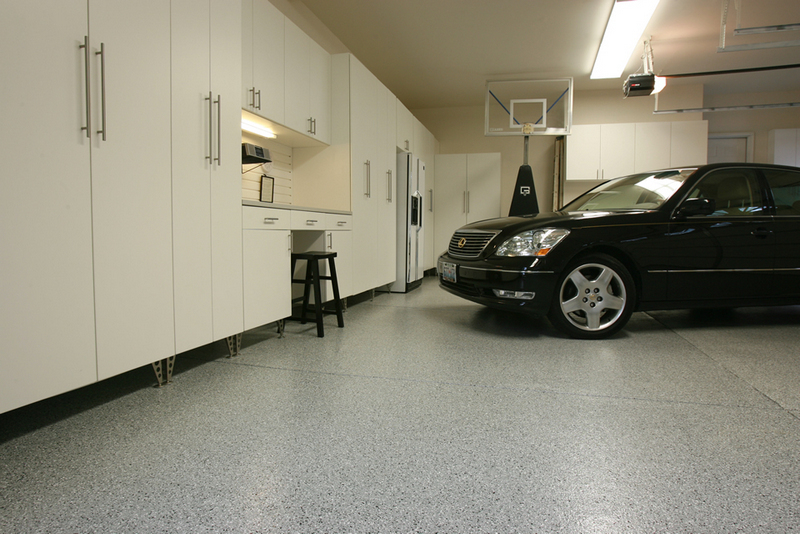 It can be applied in as low a temperature as -30F to as high as 140F. UV Resistance – Polyurea Polyaspartic is a very stable material that can endure long exposure to UV rays. 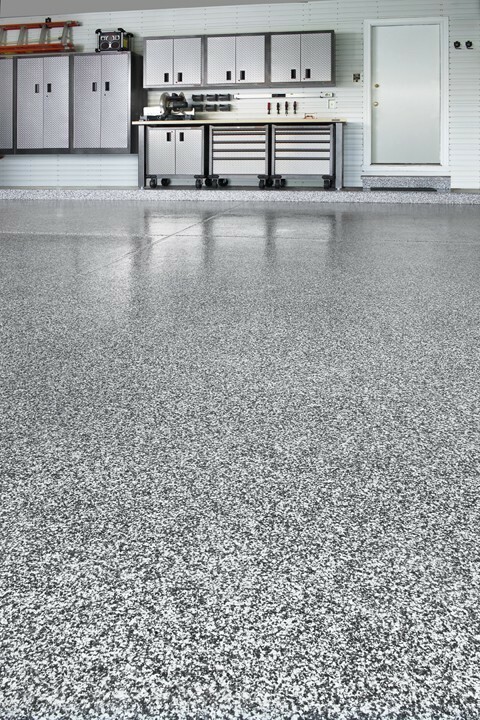 Unlike epoxy, it won’t yellow or discolor, making it an appropriate material for use on outdoor surfaces. 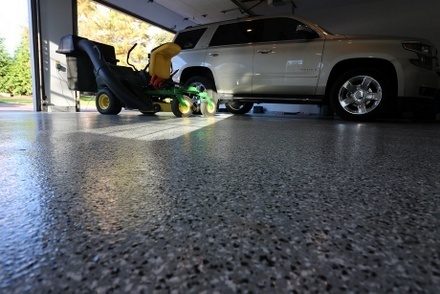 Durability – This coating is resistant to abrasion, scratches, chemicals, stains, heat, and impact. Aesthetics – It dries to a crystal clear, high gloss finish. 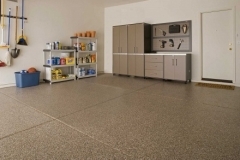 Paint chips can be added to the coating to make it look like a terrazzo or granite surface. 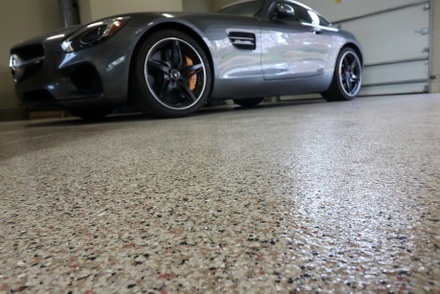 Adhesion – Polyurea Polyaspartic coating penetrates into the concrete and creates a strong bond with no possibilities of peeling, flaking, or scaling. 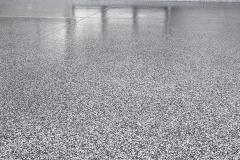 We are more than happy to discuss Polyurea Polyaspartic coating with you. 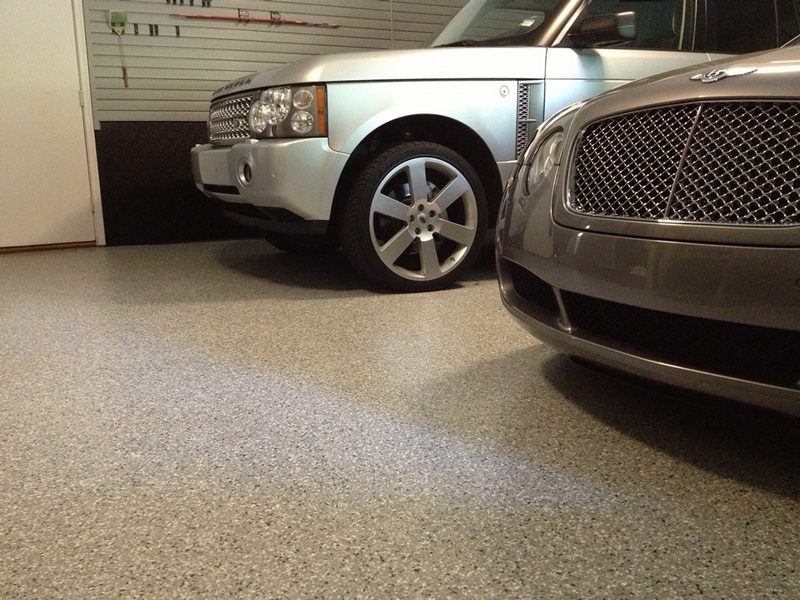 Call us at (972)808-5281 now. Dallas Decorative Concrete understands that property owners come to us with ideas and we work hard to make it happen. We have been in the decorative concrete industry for over 20 years and it has always been our goal to transform any concrete surface into an ideal walking space. 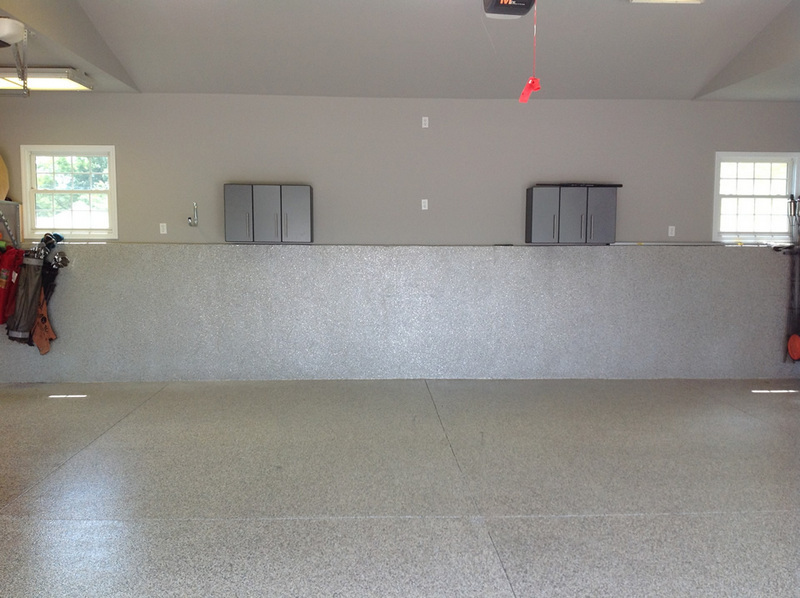 Our team of installers specializes in resurfacing concrete garage floors, basements, commercial flooring, and industrial concrete surfaces, both indoor and out. 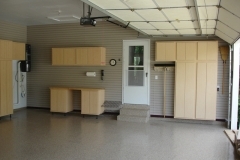 Let us provide you with the dream space you want and deserve. 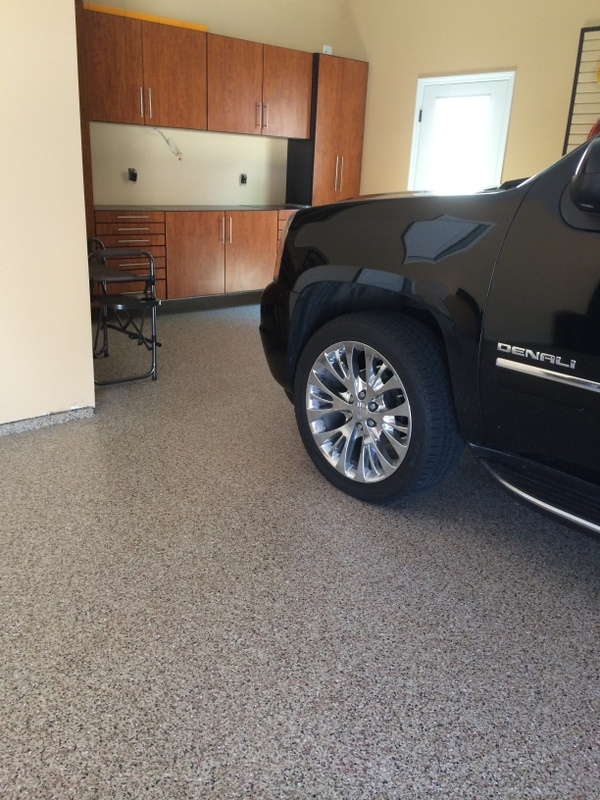 Call or email us for a FREE CONSULTATION and QUOTE!